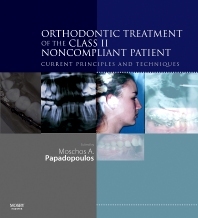 This comprehensive and practical reference provides up-to-date information on the techniques available for the treatment of the Class II noncompliant orthodontic patient. It covers all the clinically relevant information needed by the practicing orthodontist, including: mode of action, indications and contra-indications, advantages and disadvantages of each appliance. No other such text is currently available. Describes fixed functional appliances, which act in both arches to advance the mandible. Describes distalization appliances, which act only in the maxillary arch to move molars distally, including: Pendulum, Distal Jet, Keles Slider, magnets and superelastic coils. Reviews the possibilities of using implants for absolute anchorage. Provides analysis of the evidence-based efficiency of appliances. Written by an international group of contributors from the USA, Canada, Europe, Hong Kong, Brazil and Australia.